We like dunking cookies in milk before eating them. But we don’t like doing this to crackers as they will become soggy. 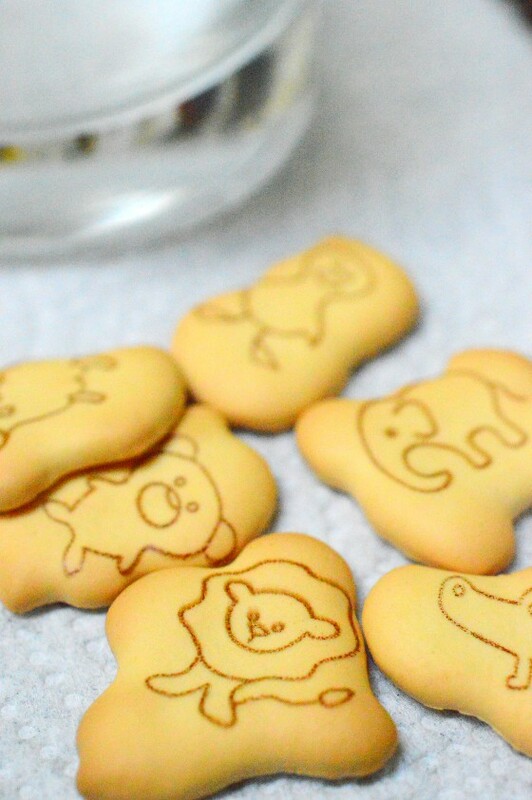 So I challenged the kids to put animal crackers in the water without making them wet. How to do that? Wrap crackers with a piece of paper towel. 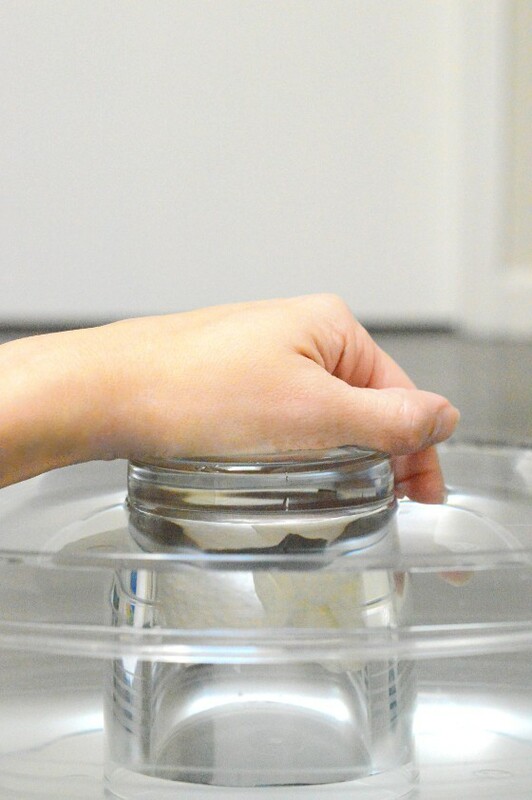 Put the scrunched paper towel inside a glass. Make sure that it is at the bottom of the glass and doesn’t fall out when you flip the glass upside down. Position the upside-down glass above the bucket of water and then push it straight down vertically. Do not tilt the glass to the side. When you’re ready to take the glass out, lift it up vertically and only invert the glass after it is completely out of the water. Inspect the content inside. Are they still dry? Try the experiment again but this time, tilt the glass slightly to the side when lowering it into the water. Do the crackers stay dry? Even though the crackers and the paper towel were completely underwater, they both stayed dry! This is because an empty glass is not really empty. There is air inside. The air inside the glass is trapped when the glass is pushed down into the water. It cannot escape because air is lighter than water and it stays above the water. The trapped air then pushes the water away keeping it from touching the paper towel. When air and water push against each other, they are exerting pressure, i.e. air pressure and water pressure. 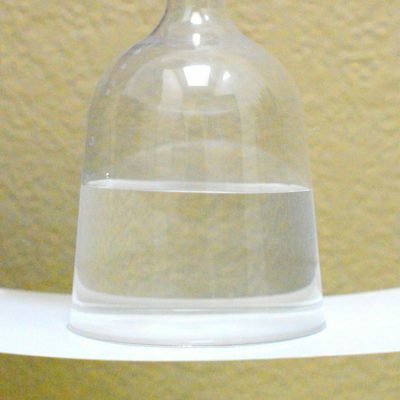 In this experiment, air pressure prevents the water from entering the glass. That is why the paper towel and the crackers could stay dry. When the glass is tilted, some of the air inside is able to escape when the glass is being lowered into the water. You can see bubbles rise up to the water. If enough air escapes (i.e. enough water enters the glass), the paper towel and the crackers can get wet. But since the remaining air will still push the water away, only the lower part of the paper towel gets wet. 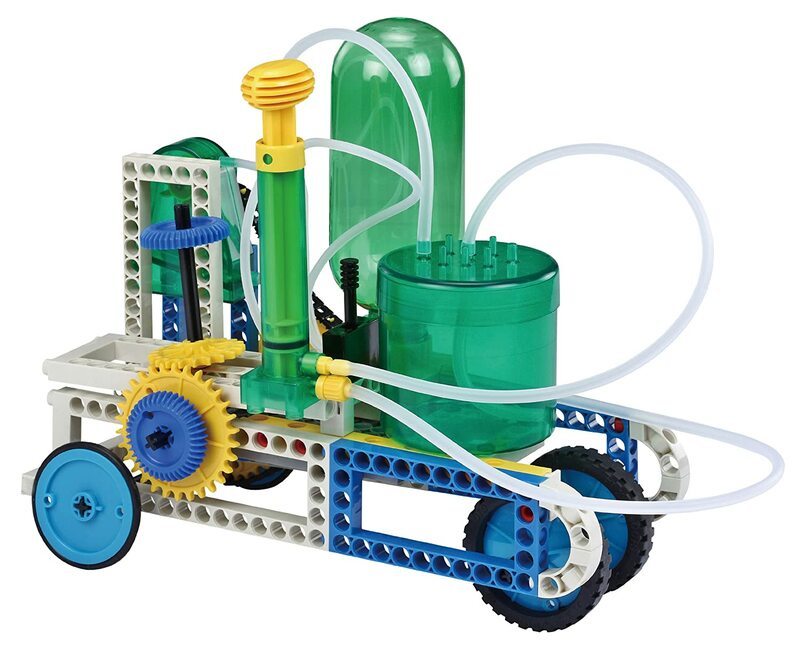 Want to learn more and do more STEM challenges? 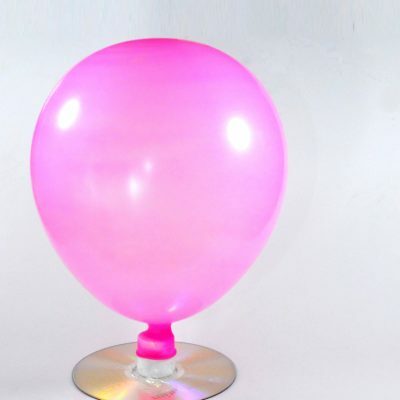 Here is a toy that demonstrates very elegantly what air pressure and water pressure can do. 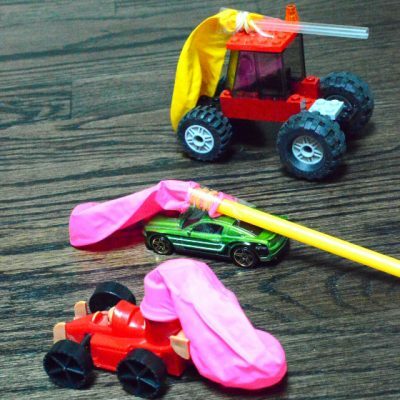 You can construct 15 different models to play with, including a truck, excavator, radar car, tank, antique car, helicopter, motorbike, backhoe, rocket car, forklift, roadster, propeller plane, grinder, and cutting machine. Kids will learn many physics concepts building and playing with it. It’s an excellent STEM toy! Just be careful when reading and following the instructions as they can be a little tricky. Keep practicing trial-and-error. That’s what good scientists do! Water and air are two essential nature resources for human, animals and plants to stay alive. Each of them has many amazing properties that will can lead to very interesting science experiments. Here is a list of water’s fun fact and some very interesting air experiment. Kids will definitely enjoy this picture book about air. It features vivid color illustrations and has an engaging tone that will sure put a smile on your (kid’s) face. 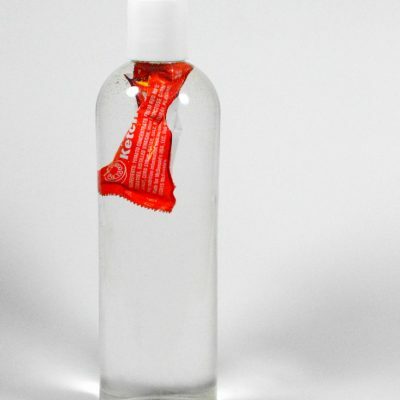 There are also some simple science experiments that kids will definitely enjoy. 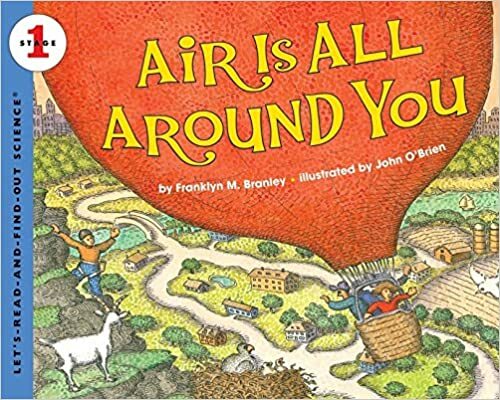 Like other books in this Let’s Read and Find Out Series, Air Is All Around You is a great addition to a kid’s library or teacher’s curriculum. 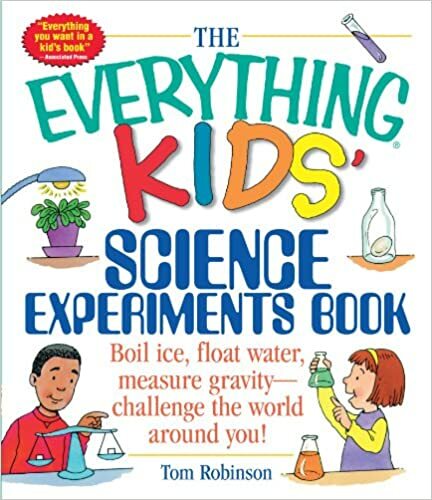 If you’re a science experiment junkie like me, you will love this book. Experiments in this book are grouped by themes. You can easily pick out several of them in the same category and hone in on one specific property of the nature. It’s a lot of fun! Can you think of other ways to put crackers underwater without them getting soggy? Tell us below.